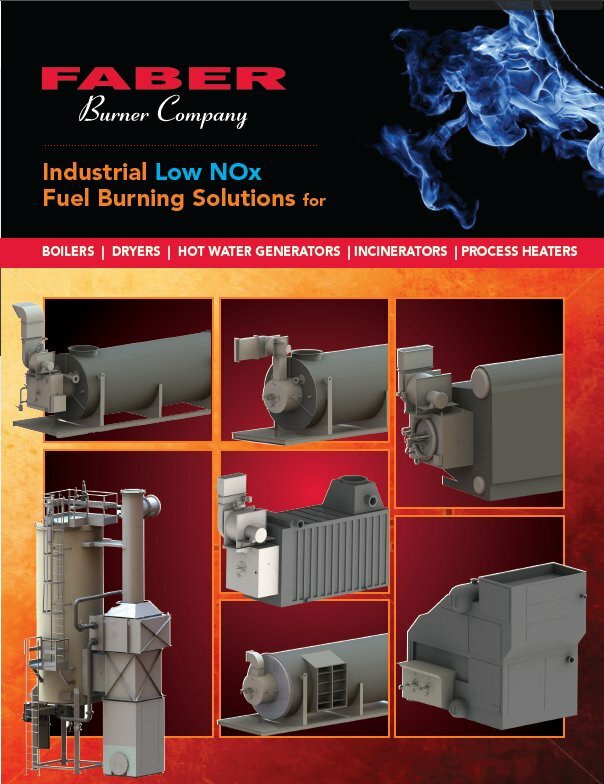 Faber Burner Company is the expert to turn to for new or retrofit low NOx burners for any type or style of watertube boiler. 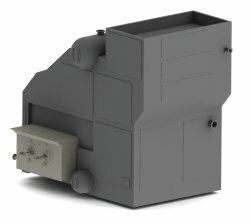 We have highly successful low NOx burner installations on both newly manufactured and existing A, O and D type package boilers with single burner heat inputs up to 190 kpph of steaming capacity. We have also successfully retrofitted low NOx burners to exsiting field erected watertube boilers of various configurations that were previously gas, oil or coal fired. One of these boilers is the largest landfill gas fired unit in north america, at the time of the retrofit. We have the experience and technical ability to fire propane, natural gas, landfill gas, digester gas, coke oven gas, hydrogen rich gas and other manufactured gasses as well as oils derived from plants, animals and petroleum stock. 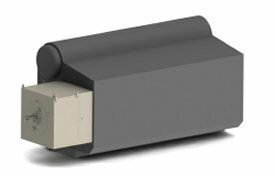 Faber Burner Company analyzes each project’s environmental, thermal, and physical constraint conditions and provides its best available solution. 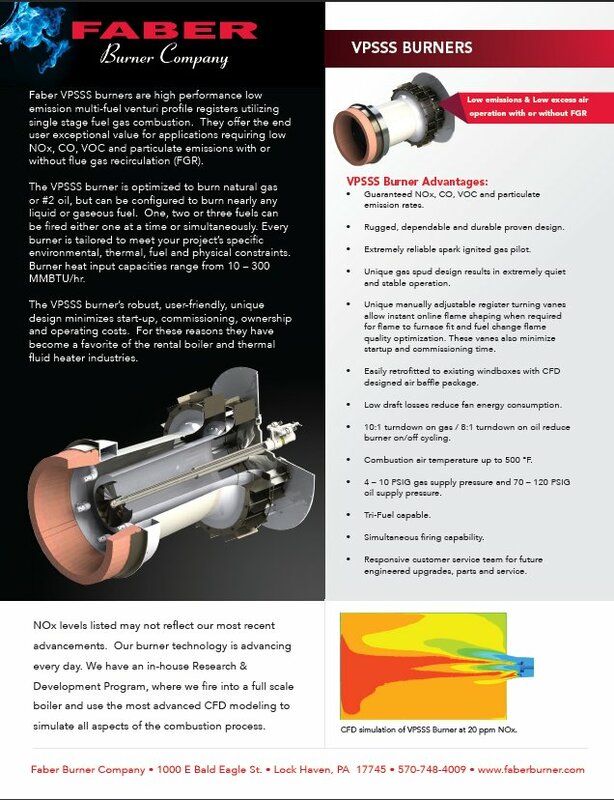 Depending on the project specifics, we can often achieve low NOx levels without any flue gas recirculation (FGR) or ultra low NOx levels with moderate flue gas recirculation (FGR) rates with the application of our VPSSS-SGB burner.